A few weeks ago, we introduced you to the adorne collection from Legrand and showed you the wide range of gorgeous wall plates and features that it offers. (We also ran an Instagram giveaway for $150 worth of adorne product with Bowers Construction and will be running another one soon with local blogger, Amy Peters! Follow us on Instagram to stay in the loop on all of our upcoming giveaways!). 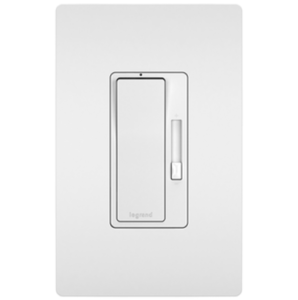 This week, we’re introducing you to Legrand’s second wall plate line, the radiant collection. 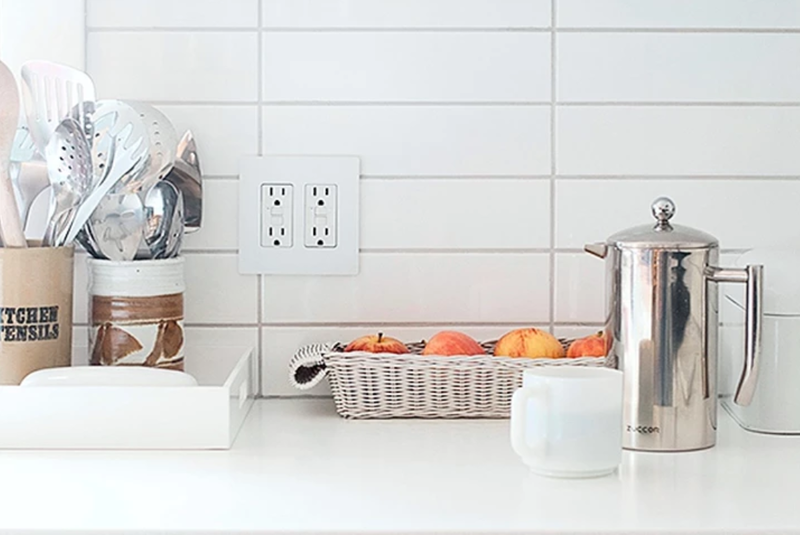 Just like adorne, the radiant collection offers wall plates and fixtures that are a step above the ordinary and brings a level of style and functionality that you won’t get from your average plugs and switches. The style of the plates and fixtures themselves is slightly different from the adorne style, so it comes down to a matter of preference. Whereas adorne offers square fixtures (by fixtures we mean switches, dimmers, outlets, etc. ), the radiant fixtures are rectangular (or what is traditionally known as decorator), and the wall plate finishes vary between the two collections. Either way, they’re both fantastic lines that our customers can’t get enough of! Check out the features of the radiant collection, and then hop over to our post on the adorne collection so you can find the pieces that are best suited for you and your space. 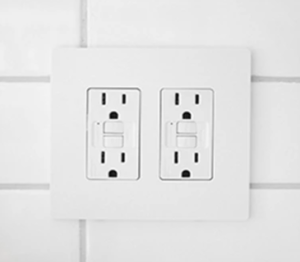 The radiant wall plates feature clean lines, a low profile, and no screws, giving them a sleek look that compliment your room’s décor. They’re available in 1-6 gang plates and come in nine different finishes including nickel, white, dark bronze, and graphite. 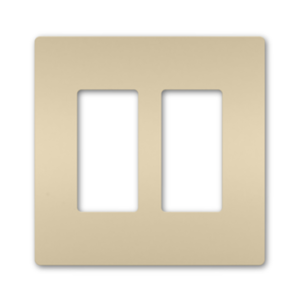 See more wall plate options here. Choose between a variety of switch options including a standard single pole, switch/outlet combo, and 3 or 4 way. You can also enjoy convenient features like lighted switches, timers, night light/switch combos, and RF switches that can be controlled with your home automation system, Alexa and Google Home. Even radiant’s standard outlets are a cut above other brands’. While most outlets are simply designed to provide power, radiant’s also protect you and your home from shock and fires. They also offer weather resistant options for outdoor lighting, and standard outlets can be combined with nightlights, USB outlets, and switches. See more outlet options here. One of our favourite products ever is radiant’s wireless charger. It replaces any standard outlet in your home and allows you to charge your smart phone wirelessly! Simply clip it in place and let it charge. This is perfect for any room in the house, but it’s particularly popular in kitchens, bedrooms, and offices. Keep in mind too, that it can be combined with other fixtures, such as outlets and switches. 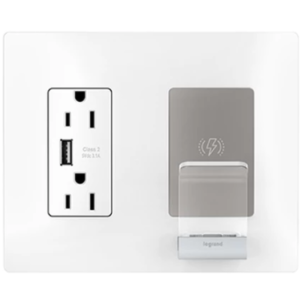 Radiant also offers quad USB chargers (which fit into a 1-gang space) and USB/outlet combos. See more charging options here. When it comes to dimmers, radiant offers more variety for different voltages and bulb types, whereas adorne offers more style options. The majority of radiant dimmers are in the toggle style, but they’re tailored to LED, florescent, incandescent, magnetic low voltage, and more. They can also be connected to your home automation system. See more dimmer options here. 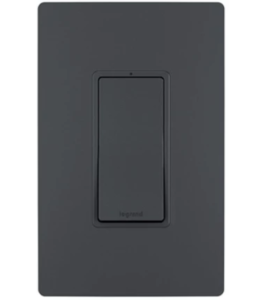 Pair your switches and dimmers with Legrand’s Intuity system for easy to use home automation. The system also supports scene control, which allows you to set up preconfigured lighting scenes that are accessed with the touch of a button. 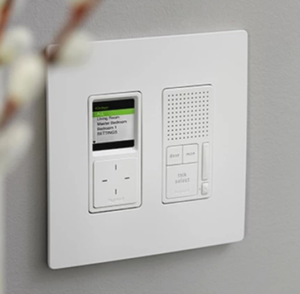 Whole Home Audio lets you control the audio throughout your home, and Whole Home Intercom gives you total convenience (without those unsightly intercom systems from the 80s!). If you are looking for a little more functionality in your home automation eco system, the radiant collection can also be paired with Samsung Smarthings Hub, Alexa and Google Home. See more home automation here. 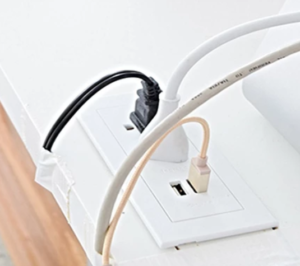 Add your outlets directly into your furniture for seamless functionality. These outlets are perfect in headboards and desks. This option is great for home, but it’s especially popular for office and public spaces. See more furniture power centres here. To learn more about the radiant collection from Legrand, head here to their site. And more more on the adorne collection, check out our post here.